The first stop on our Olympic Passport tour was The Olympic Museum, housed in The Olympic Centre. A trip to the museum was on our ' to do' list as was a trip to Whiteface Mountain but we hadn' t realized that we would be able to visit other Olympic venues and it was the lady in the cashiers office who told us about the Olympic passport, we were so glad she did! 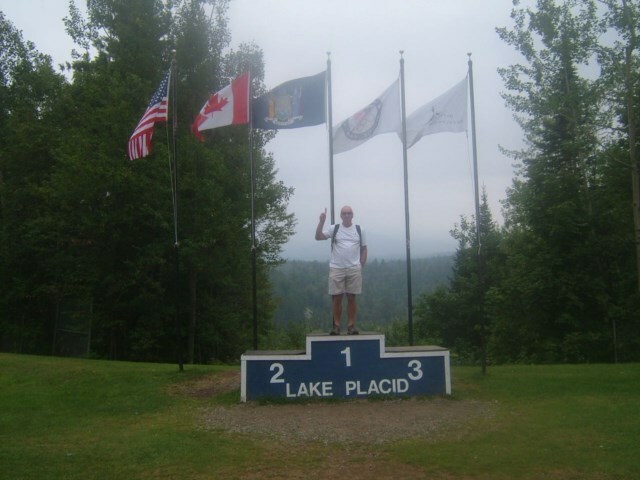 As stated in my earlier account of Lake Placid, the Winter Olympics has been held in Lake Placid twice, 1932 and 1980. It was nice to see GB get a mention for both games. In 1932 the GB flag bearer was figure skater Mollie Phillips who was the first ever woman to act as a flag bearer, and of course, in 1980 Robin Cousins won the gold medal for figure skating. The big story of the 1980 games was, however, the totally unexpected winning of the gold medal for ice hockey by the US team, dubbed ' the miracle on ice' where on the way to the final the US team made up of college students and amateurs beat the mighty Russian team before going on to beat Finland in the final. Each team member had given his personal memories of the game and one guy had written words to the effect ' it was wonderful, the US was going through a down time and people needed something to celebrate, they had nothing to look forward to as the US team had threatened to (and did) boycott the Summer Olympics in Moscow in protest of Russia' s invasion of Afghanistan' . . . . . . . . . . . . there is a real irony there! The museum although only small was really interesting with its exhibits and film clips, and it kept us entertained for quite some time. After the museum it was back in the car for the journey to the Olympic ski jumping centre which took us about 15 - 20 minutes. By now lunch was calling so we stopped at the base of the jump to visit the small cafeteria for refreshments. 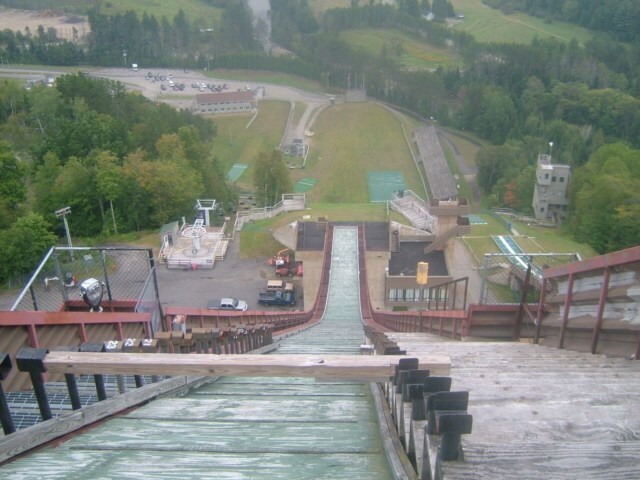 It was quite daunting to look up at the jump before taking the chairlift to the base of the elevator. On alighting from the chairlift we posed on the winners podium for the obligatory photograph, we stood in the gold medal spot, obviously! 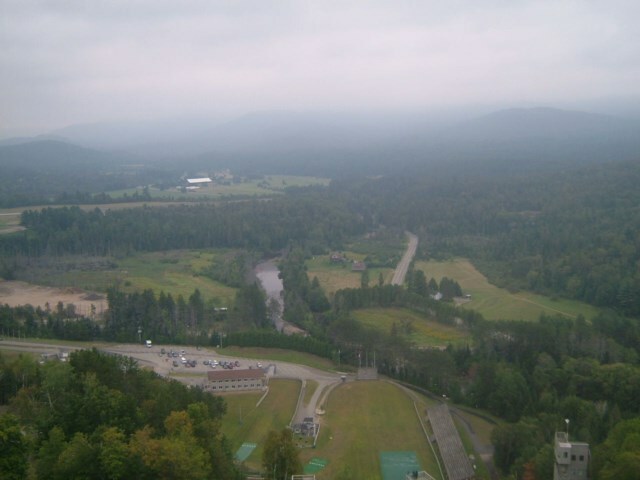 Next we took the elevator to the top of the 120 metre jump, inside the tower we were able to take in 360 degree views of the surrounding area, sadly it was overcast and visibility wasn' t brilliant, on a good day the views would have been stunning. 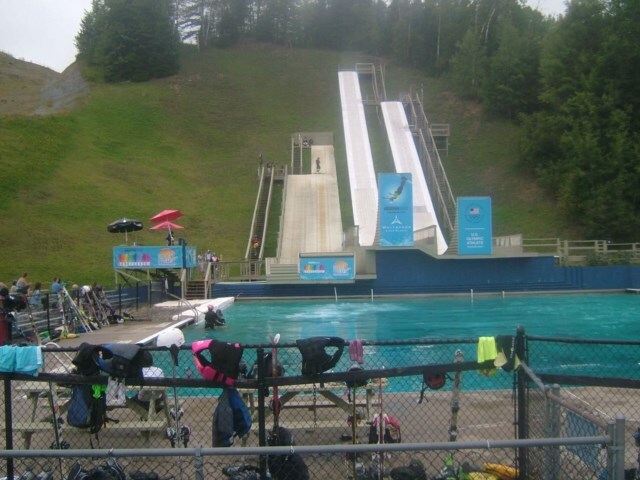 Finally it was outside to stand at the edge of the jump just as the competitors do, even given that covered in several feet of snow the ground would appear closer you must need a great deal of nerve or to have a screw lose to launch yourself off the platform. . . . . . . . . mind you, I think Eddie the Eagle did! From the entrance to the elevator we took the chairlift back down to the foot of the jump, once again the view from the bottom made me no more convinced that this was a sport for anyone who valued life with all their limbs intact! Off to the side there were some smaller jumps which landed in a pool and we sat and watched some youngsters come down the runs and do freestyle jumps into the pool, there was obviously some sort of training session going on. After watching them for a while it was back in the car and off to the next venue, The Olympic Sports Complex. Viewed 1767 times since 10 January 2015.